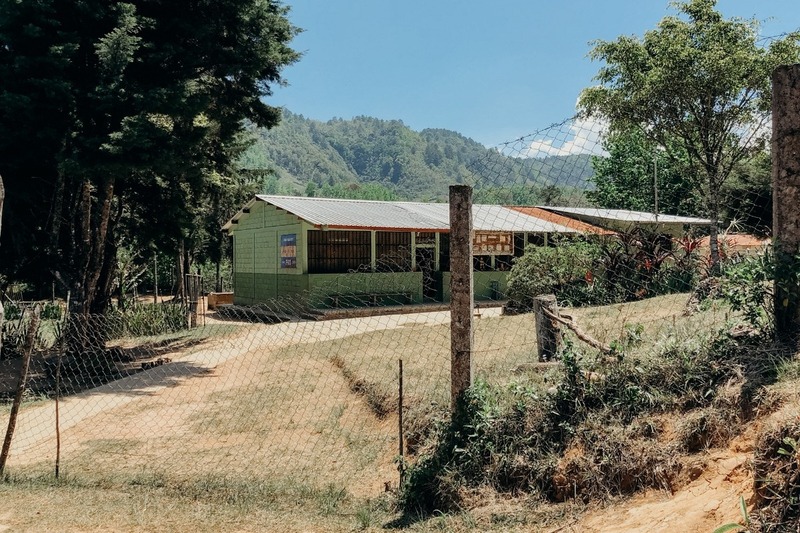 Escuela Aldea la Piedrona is school that is located on donated land owned by our dear friends Marysabel & Moises Herrera. It comes from the same farm that our Finca la Tanairi direct-trade coffee comes from. Moises and Marysabel have been long time friends of mine since 2007 when I first started roasting their fantastic coffee. After a visit to Honduras in 2010, I’ve been buying their coffees year in, year out since 2011. Relationships like this are incredibly rare--it’s one that shows sustainability flows both ways in a healthy partnership. They helped me in my first year of business by offering me a price that helped me be competitive in our market. In turn my purchases have grown from 5 bags in our first year to 10 bags the next. Now in 2018 I am happy to say that we were able to buy 116 bags! Business aside, Moises and Marysabel have big hearts as demonstrated by their sectioning off of their own land in Marcala where they've built a school for the local community. With close to 100 children and only 2 teachers to handle the workload, there is always work to be done on the site. When Marysabel and I walked through the yards of the school during their lunch break, she noted it would be great to build a dining room. 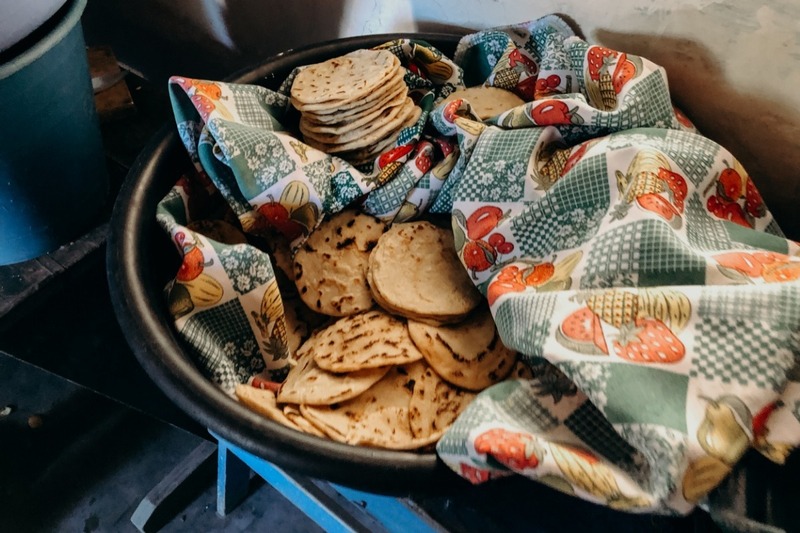 Currently, the children line up outside of the kitchen where 4 volunteers cook meals everyday, then the kids hurriedly rush off with their plates and find the nearest slice of shade or just sit in the sun and eat. We have already raised $2583.85 through our wholesale partners all who are small business owners, it was incredible to see a small group band together to make a difference. We choose not to stop there, our main goal is $12,000 so we have a way to go. Anything will help and we at Tectonic are going to sweeten the deal when donating. People donating $100 will receive 1 x 12oz bag of a very special coffee from Marysabel's coffee farm. It is a rare Java variety, which is not common in Honduras and is absolutely delightful to drink. People or companies donating $500+ will receive a bag of coffee and get their name or company logo on a plaque that will be hung in the dining room when construction is completed. All coffee will ship at the end of the campaign so if you want your coffee sooner rather than later make sure you help us spread the word! Campaign ends on the last Friday of November 11.30.18. 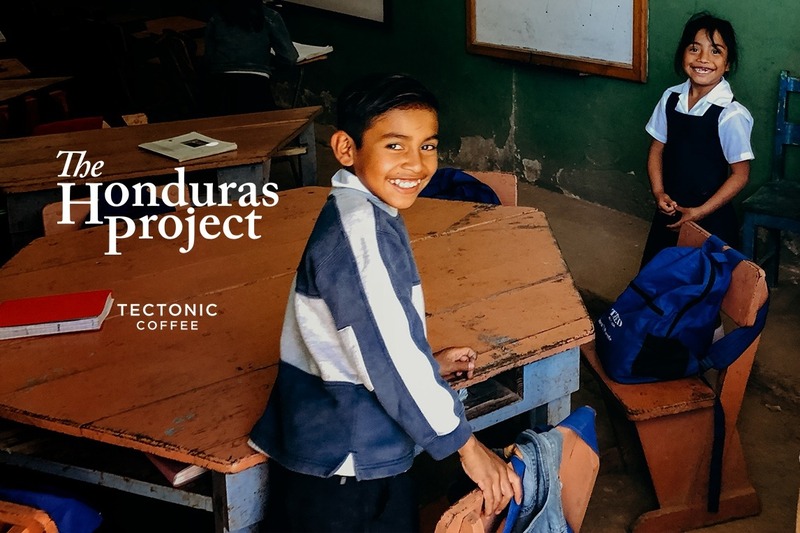 It would be a fantastic feat for us: small business owners from every sector of the coffee supply chain coming together to make contribution to Honduras and the children of Marcala, an effort that will stand for decades to come.